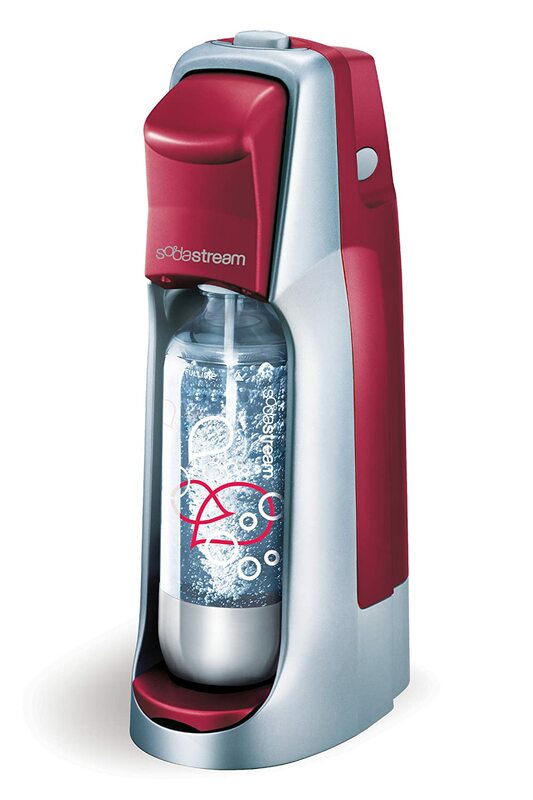 We purchased our Sodastream Fountain Jet Soda Maker in August after I was introduced to them at BlogHer. Of every purchase we made this year, this was our collective favorite. You can read about my full review on the Sodastream machine by clicking here. Since we have purchased the Sodastream, my parents went out and got their own. As I mentioned in my review, I initially wanted to purchase one of these for my Step-Dad a few years back for Christmas. He is a Grey Goose / Soda Water drinker. nvolved. I have learned that my parents make sparkling water everyday with the Sodastream. Gabe and I have tried nearly every flavor that Sodastream offers. Our collective favorite is Cranberry Raspberry which I like to mix with vodka. It has 36 calories for every 8 oz consumed. The health factors of Sodastream is what sold us. The calories, sugars and carbs are extremely lower than what you will find in a can of your favorite soda. If you are a soda drinker or like to drink sparkling water, the Sodastream is by far the way to go. It is hard for me to grasp that I have not had a 12 pack of soda in my fridge for 5 months. One of these days I am going to get one of these! We go thru a 12 pack a day, a DAY! We would save so much money with a sodastream!